I had planned to publish a photo of the signs one day this week, but last Sunday afternoon a motorist veered into the middle sign, snapping it off at the base. 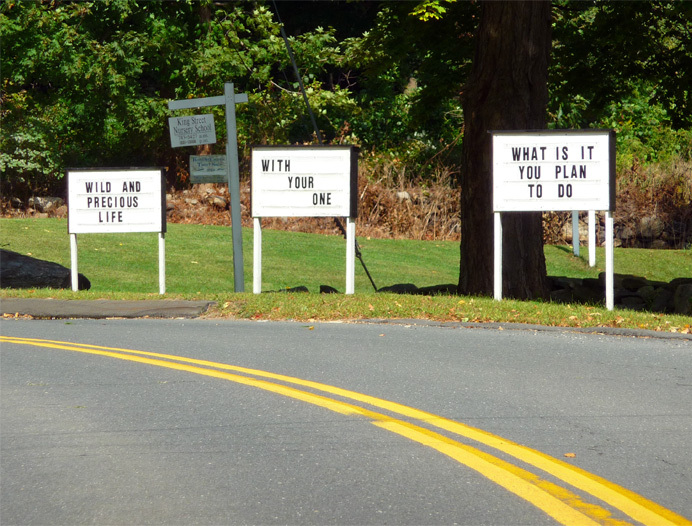 Now I hear that it won't be replaced, because the church board has decided that the signs are too tacky for the neighborhood. I disagree. To express your opinion, . to tell me your favorite picture and caption from the September links below. I'll report the winner tomorrow.